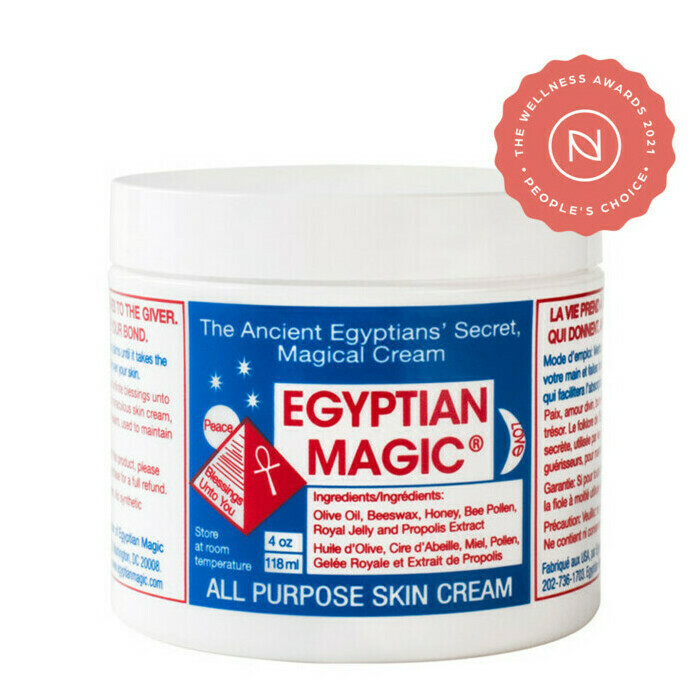 The Egyptian Magic All Purpose Cream may just be the most famous beauty cream in the world! 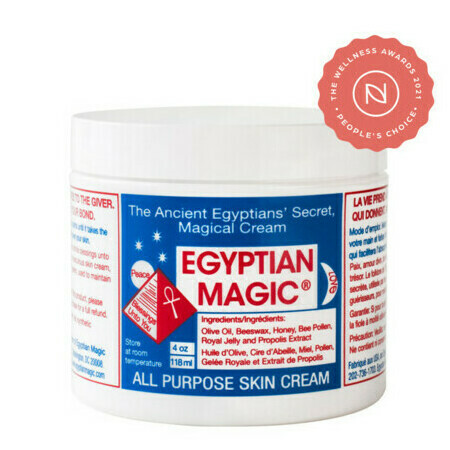 Based on the ancient Egyptian formula that women of the Cleopatra era used to keep their skin radiant, this magical cream can be used to treat almost any skin condition including blemishes, burns, scars, wrinkles, mild forms of eczema as well as well as maintain healthy glowing skin. It contains just 6 natural ingredients including Olive Oil, Beeswax, Bee Propolis, Bee Pollen, Royal Jelly, Honey. Bee Pollen, Bee Propolis, Beeswax, Honey, Olive Oil, Royal Jelly. 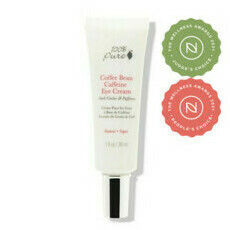 Warm the cream in your hands until it softens and apply to your skin. I take this everywhere even when travelling around the world. 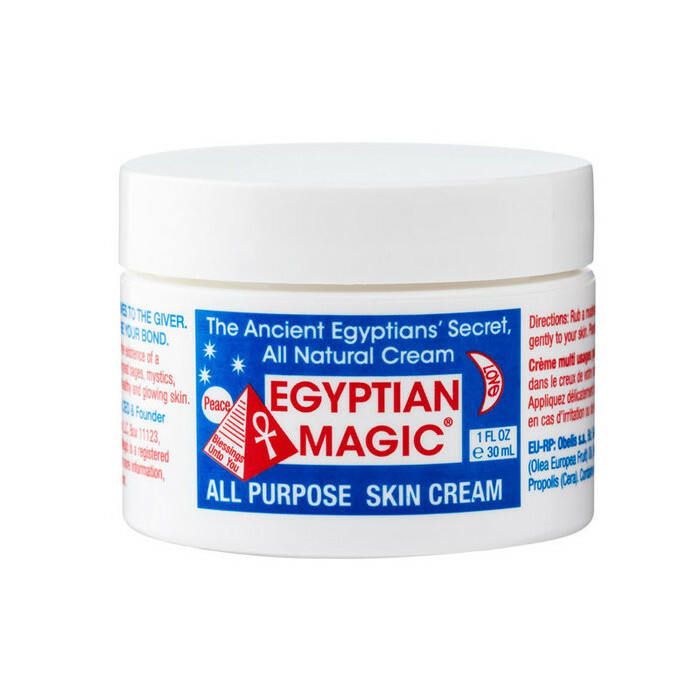 I have very bad acne prone skin and soon as I break out I put this on and sometimes just overnight it will all completely go. Yes it's thick, feels like Vaseline but seriously give it a shot. I put it all over my face, rub it in before going to bed and when you wake up, your face is glowing and as soft as a babies bottom. 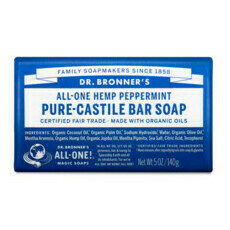 Great for heat rash, sores, cracked skin, stretch marks etc. 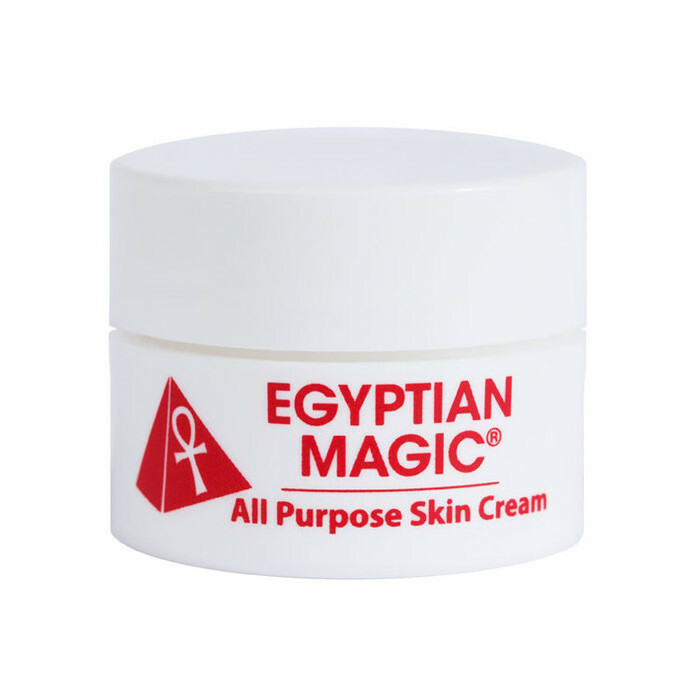 I don't wear it through the day on my face as I sweat terrible but using this on my face on top of other moisturizers too is so fantastic. Never had anything that gets rid of my acne, heat rash etc etc like this. Just give it a go, you won't be sorry. 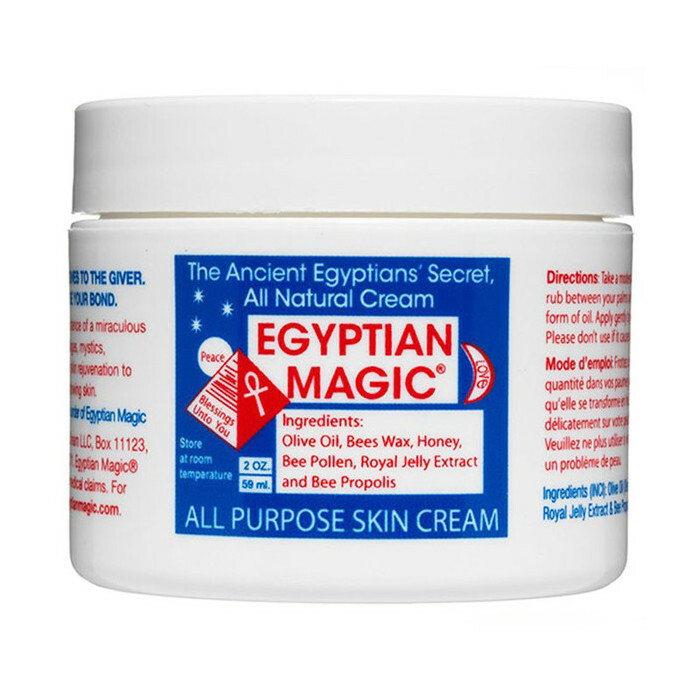 Find out more about the Egyptian Magic brand.